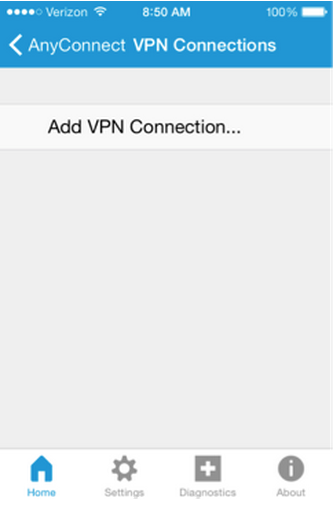 Before connecting to VPN, remove your previous UR VPN connections (profiles) in other VPN applications or your device’s built-in VPN client. If you previously used another VPN client to connect to the University network and do not use it to connect to other non-UR networks, uninstall it from your device. Enroll in Duo two-factor authentication, which is required for VPN access. If you have already enrolled in Duo, skip to step 3. Enrollment tutorials and more information about Duo are available on the Duo website. 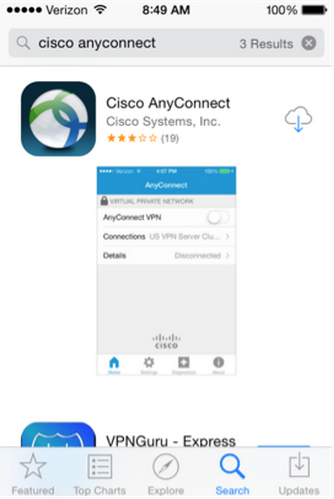 Open the App Store on your iPhone or iPad and search for Cisco AnyConnect. 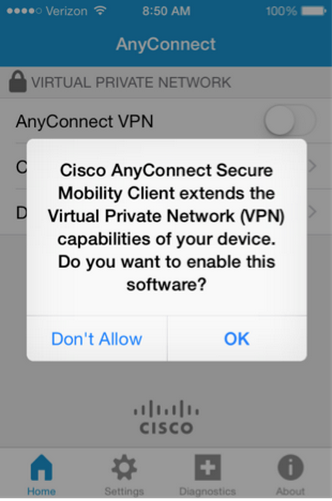 Download the Cisco AnyConnect app. Open the AnyConnect app. Tap OK to enable the software. In the Description field, type UR VPN. 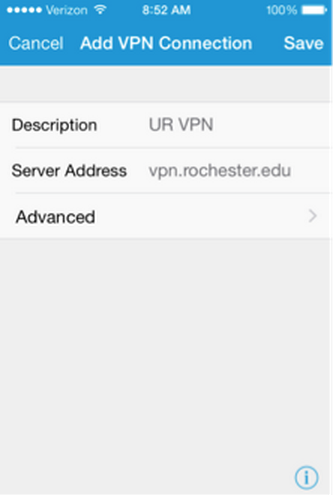 In the Server Address field, type vpn.rochester.edu. Then tap Save. Tap back to the Cisco AnyConnect main screen. 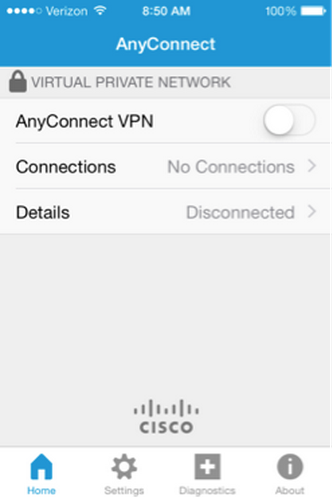 Follow the tutorial to Connect/Disconnect VPN on your iOS device.